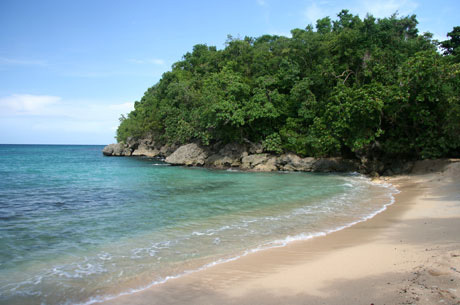 We invite you to visit the 1/4 mile stretch of white sand beach nestled into a lush tropical jungle. Cool out under a palm tree with a fresh fruit cocktail served in a coconut at the "Village Beach Bar". 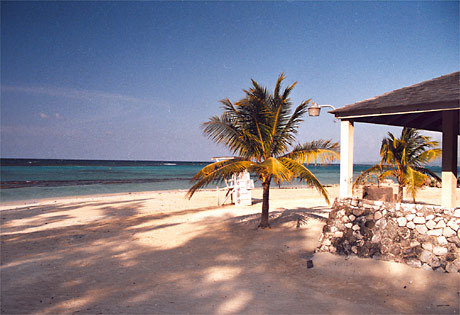 Or try Caribbean cuisine like fresh fish, lobster, conch or spicy jerk chicken from the grill. Capture a golden tan while drifting peacefully across turquoise waters on a lie-low float. From waving fan coral to colorful clownfish and graceful rays, you'll find plenty to look at while snorkeling the bay's reefs. Kayak the coastline or hike the natural trails or experience a seaside massage. Try the seasonally fresh native fruits like Mangos, guineps, guava, ortanique, sugar cane, pineapple, papaya or naseberry. Challenge a friend to backgammon, checkers, or join a domino game. Bamboo Beach has it all. 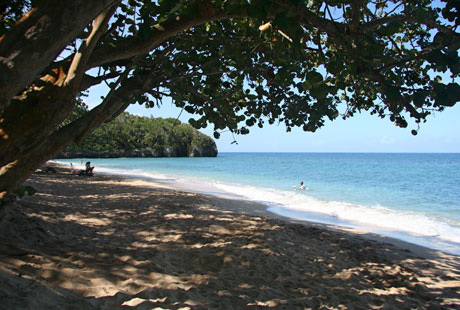 A lovely beach in town and very protected. Restaurant and bar service. No charge. 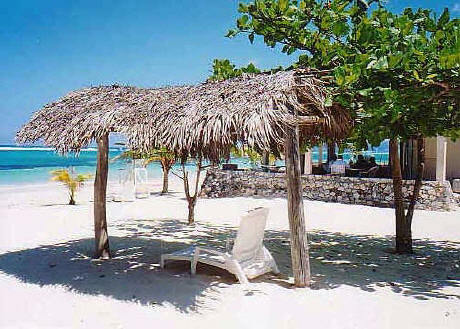 Mammee Bay Beach Club is a private beach facility for the residents of Mammee Bay Villas. 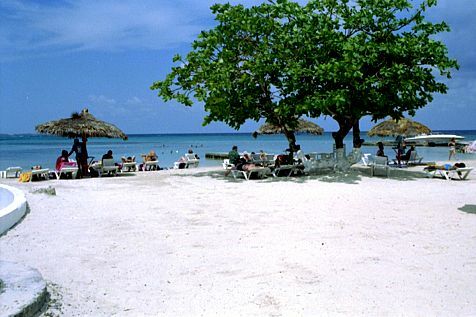 The sandy beach has lounge chairs, umbrellas, water sports, volley ball and other activities. The Rio Hotel manages the beach.